Our popular iPALS (Internet Properties Automatic Listing System) has been undergoing a major work over. For years iPALS has run as an external script that had little security, and ran completely outside of Joomla!. No any more. With the upcoming release of iPALS 3.0, iPALS will run completely as a native Joomla component. The idea is that the component itself will be FREE to download. However, the libraries that connect to RETS, translate the returned information, and insert into the database will continue to be subscription based. Our development team is working hard on this project, now that Most Wanted Real Estate v2 has been released. We'll post more information, and perhaps some screenshots, once we get closer to completion. NOTE: iPALS 3.0 will initially support our Real Estate component, Most Wanted Real Estate v2, but may support others in the future. 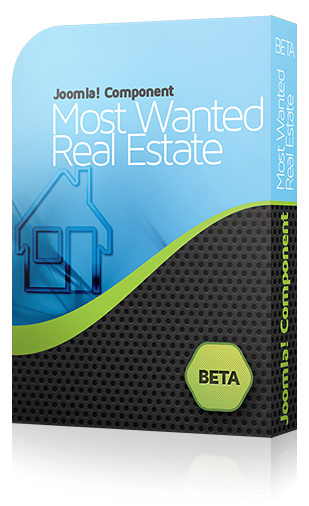 Welcome to the live demo for Most Wanted Real Estate - version 3. This component has been a long time in coming. With just over 120,000 lines of code, we have come a long ways. Of course, as with any project, the future is subject to change. Once we have version 3 completely released, we will begin working on "roadmaps" for future versions. Of course, input from our clients aids tremendously in the development. The "Favorite Listings" feature requires you to have an account. You can register for an account under the Other menu item. Please provide your feedback. We are still looking for those that would like to assist in translations to other languages (i.e. Spanish, French, German, etc.). Note: A Joomla! 4.x edition of Most Wanted Real Estate is under construction. Our initial focus was ensuring PHP 7 compatibility, and now that that is done, we are looking at the major parts that will need to be updated for Joomla! 4 (some has already been done).